Wow! 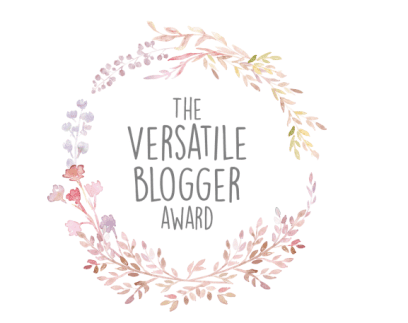 Okay, so let me say first of all a HUGE thank you to both Chelsea at One Inspired Mama and the DeVaulls at Wanderlust with the DeVaulls for nominating me for the Versatile Blogger Award! 1. I can unicycle - this is just such a random thing I can do that I like to share it haha. My PE teacher taught students during lunch how to unicycle when we were in third grade, and I basically never forgot how to. 2. I love to cook! My favorite blogs to read are cooking blogs since I'm always so inspired in the kitchen to make something yummy and more often than not, healthy. 3. I've traveled more internationally than I have domestically (sight-seeing wise). 4. I'm left-handed and right-brained. 5. I could eat miso soup with rice all day everyday and probably never ever get sick of it. It's my ultimate comfort food. 7. I can sing "Let It Go" in 5 different languages. I used to work in daycare with kids who spoke a variety of languages, so I tried to learn it in the languages they spoke! I'm rusty, but I can pretty much get my way through it in Korean, Japanese, Spanish, French, of course English!